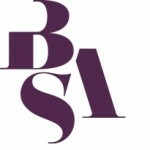 The British Sociological Association is the national subject association for sociologists in Britain. Founded in 1951, our members are drawn from a wide range of backgrounds including research, teaching, students and practitioners in a variety of fields. Through a range of exclusive membership benefits, specialist study groups and a busy calendar of events, we provide a network of communication to all who are concerned with the promotion and use of sociology and sociological research, helping to improve our understanding of society and social processes.